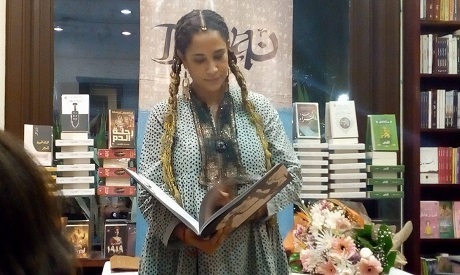 Renowned Tunisian singer Ghalia Ben Ali held her debut book signing for her first novel, Romeo and Laila, on Saturday 24 March. The book began as an art project in the early 2000s, and was Ben Ali's attempt to tell her own story. 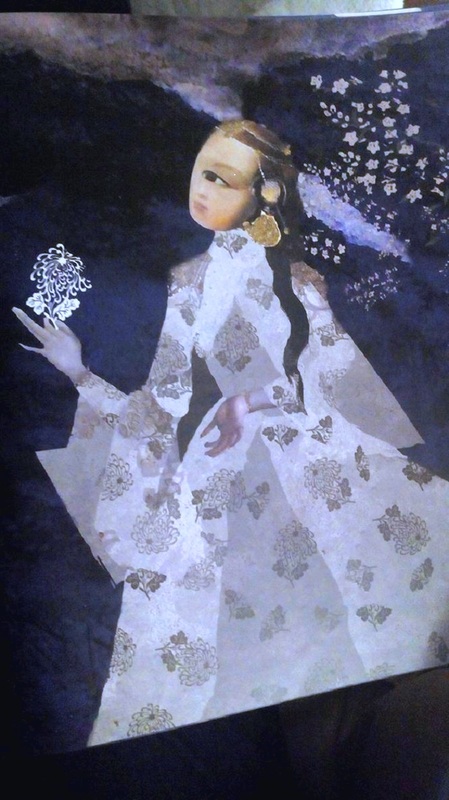 The work is in the collage style, with vivid inclinations towards ancient motifs of the Orient, from its colourful illustrations of Arabic calligraphy to the story's main theme. All reflect the flavor of the Arabian Nights: tales of journeys, charms and love. Far from traditional, Ben-Ali's story wittily uses ancient motifs to revolt against the classic gender roles. In the story, Laila is the one on the long quest to save her lover. The narrative crosses between the stories of one-eyed princess Laila and the two-eyed stranger that will save her. Breaking all taboos of the east and west, the book tells a tale of a princess' self discovery to find her own voice -- and to believe in it. 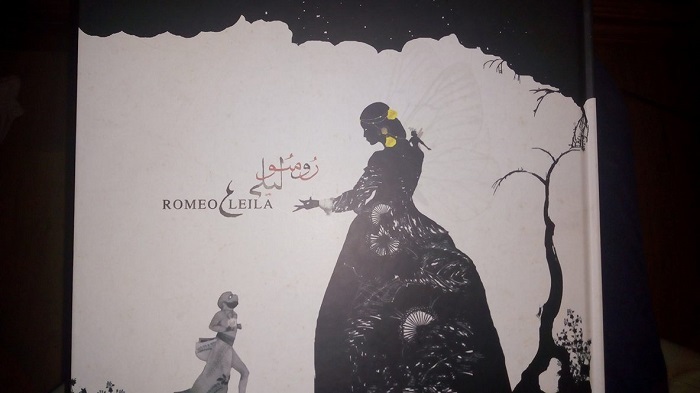 "There are several themes in this story, the love between people coming from two different worlds, like myself, a girl from Tunisian origins who was born in Brussels, [and] of how we view the other and how differences are a good thing," explained Ben-Ali. Along her way to save her lover and follow her own dreams, Laila's journey creates several stories that each reveal some precious truth of human nature in some subtle manner. "It's about the preconceived ideas that block us from seeing the reality of people, like how the keeper of the temple was regarded as a prostitute by some, and as a goddess by others, about the price we pay when we do not accept ourselves the way we are, and mostly how one's dreams are non-negotiable," she added. The story tackles several philosophical topics such as knowledge, and how there is a great difference between seeking knowledge and experiencing it. Another theme is that of acceptance, embodied in the story of a man based on one whom Ben Ali once encountered in India. The man had fallen in love with the moon, but, unable to tolerate its different phases and shapes, scolded it and demanded it remain full. When the moon left him, he cried and begged for her to return and promised to accept her with all her changes. But the moment he saw her full again in the sky, he confessed that he only loves her in this phase. And from that day on, he still yearns for the moon that left him. The book is an enchanting tale with many layers of depth. From its sequence of vivid illustrations to the short words of wisdom scattered around the book, the work as a whole falls into the charm and wit of ancient folk stories, complete with a fresh take on life. The book is available at Diwan Bookstore.